Brooke Malia Mann is an art teacher for individuals with mental impairments and is also a freelance illustrator. Christ’s visit to the people in the Americas is one of the most powerful scriptural accounts in the whole Book of Mormon. 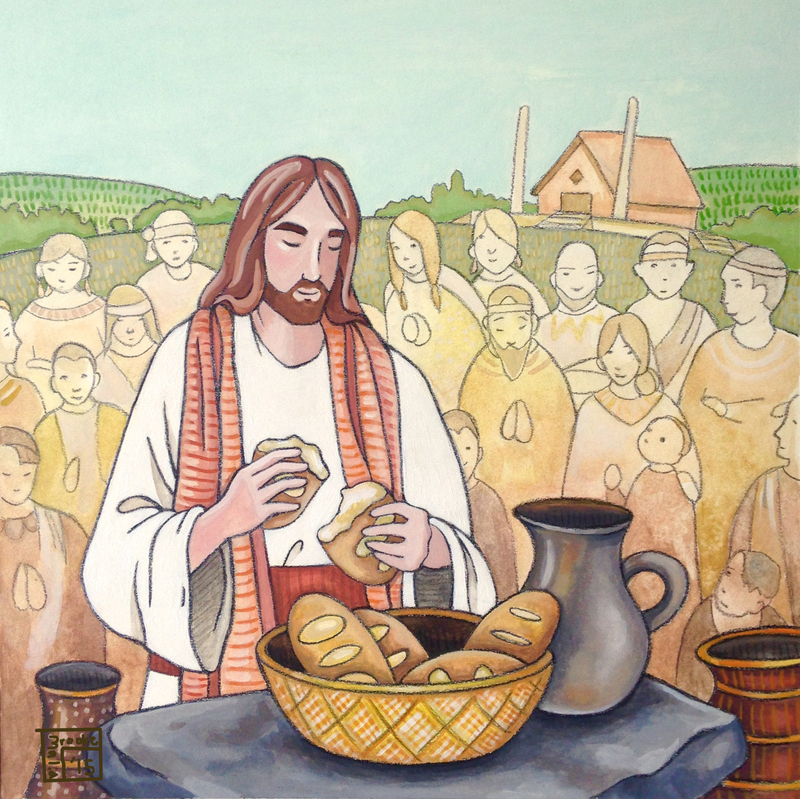 This piece depicts the moment when Christ administers the sacrament to the Nephites. This piece is meant to span all ages, so that even children can relate to and love the scriptures.